​Present the very best version of YOU! ​Working with Denise Levy you will gain the knowledge and skills to prepare yourself for dating. 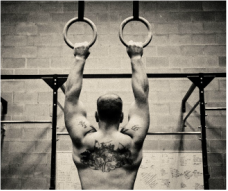 However, we recommend you look at the entire picture to increase self esteem and get the results you truly deserve! We have put together a dream team of professionals that will assist you in the most rejuvenating makeover from the inside to the outside that will completely transform not only your social, dating and professional life but also give you the tools to becoming the very best version of YOU you can possibly be! The following professional are not only recommended but are used by Denise Levy herself! ​Natalie Jennifer Buchholz is our preferred photographer for our clients. She owns and operates British Touch Photography and shoots from Pensacola through Panama City. Having professional photographs for your online dating profile and social media will dramatically increase your results. Natalie photographs many of Miss MatchMaker's Events. Click here to view Event Photos. Natalie offers discounts to all MatchMaker Gulf Coast Clients and anyone who is working with Miss MatchMaker. Please contact Denise direct for more information on discounts. If you are not currently working with Denise you may contact Natalie direct through her website British Touch Photography or call 850-586-5074. Jackie Maglio is our preferred hair stylist! Jackie has been Styling hair for weddings and in salons since 2010. She has discovered that her passion is doing beautiful Up-Do’s for all occasions, and her hunger to advance in the areas of color correction grows daily! Aside from cosmetology school, Jackie has taken classes at the Vidal Sassoon academy and is scheduling more education classes every day so that she can excel in all areas and give you the hair that you DREAM of. Whether it be a subtle change that gives you a comfortable lift from the norm, or a drastic change that shows off your character and personality, Jackie is ready and excited to have you loving your hair over and over again. Book with her today, and get acquainted. She can’t wait to meet you and bring your hair to life. Click here to book your appointment with Jackie! ​Emerald Coast Med Spa offers the following services and products in a relaxing and quiet Medical Spa environment: Permanent Makeup, Extreme eyelash extensions, Camouflage makeup application, Airbrush Tanning, Acne Treatment, Chemical Peels, Massage Therapy, Laser Hair Removal, hair salon services, Botox®, Dysport®, Juvaderm®, Restylane®, Perlane®. By keeping up with the latest techniques in anti-aging ECMS is able to help their clients look and feel younger. They strive to keep clients up to date on new treatments and products to assist in anti-aging needs while working within your budget. Contact Emerald Coast Med Spa at (850) 939-5413. 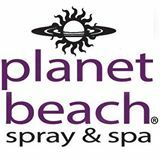 Planet Beach Spray & Spa offers a variety of services that help you look and feel your very best! This is one of my absolute favorites! I have been using and recommending these for years! Believe me when I say there is a science behind it.